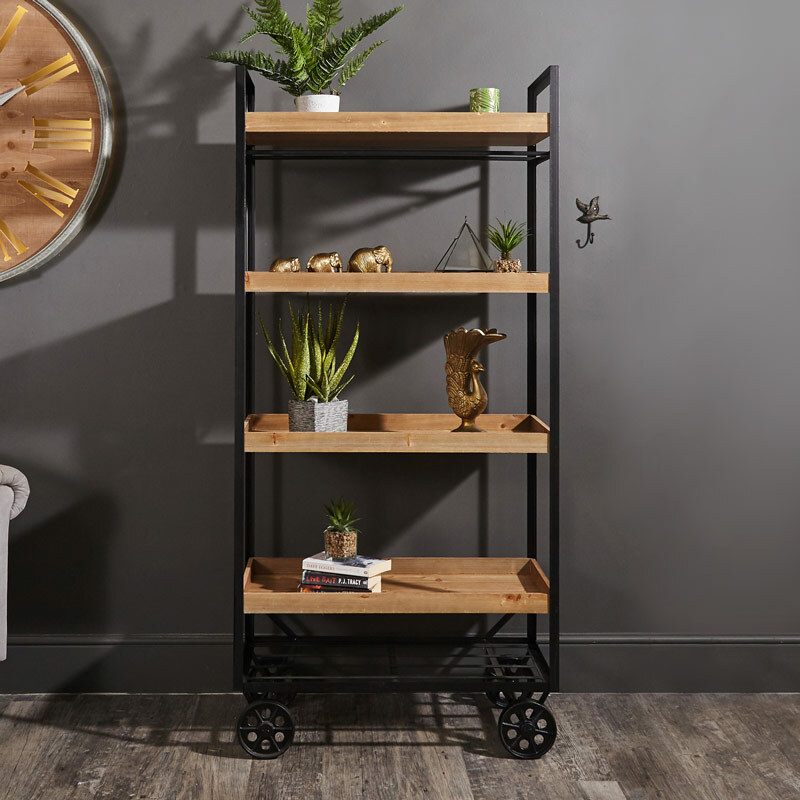 Our industrial shelving trolley could be the perfect answer to your additional storage needs with its simple but eye catching rustic look. 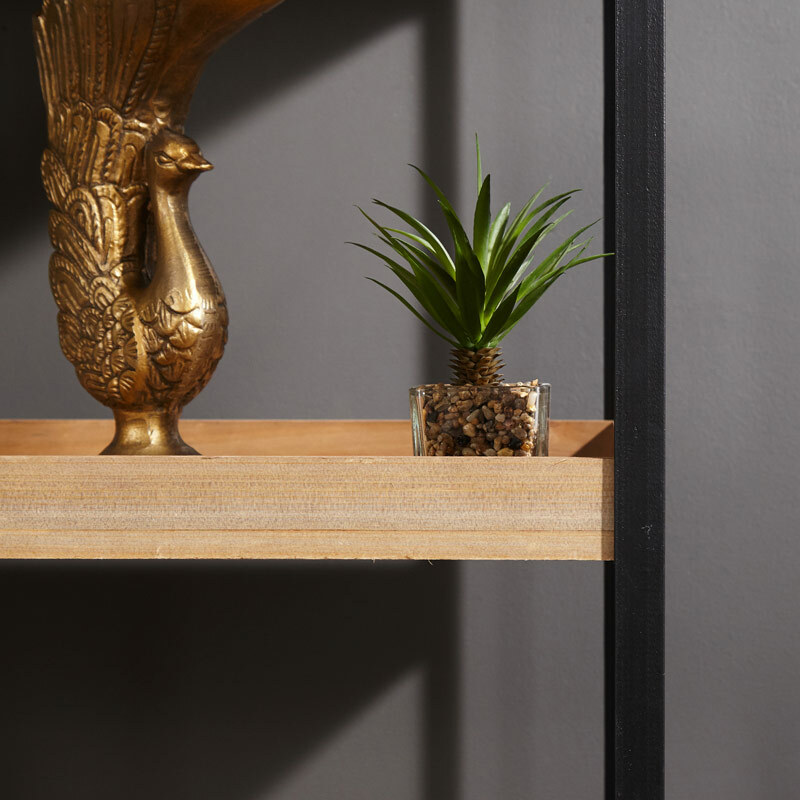 The black metal frame topped with its 4 wooden shelves will be an excellent addition to any vintage or contemporary home. 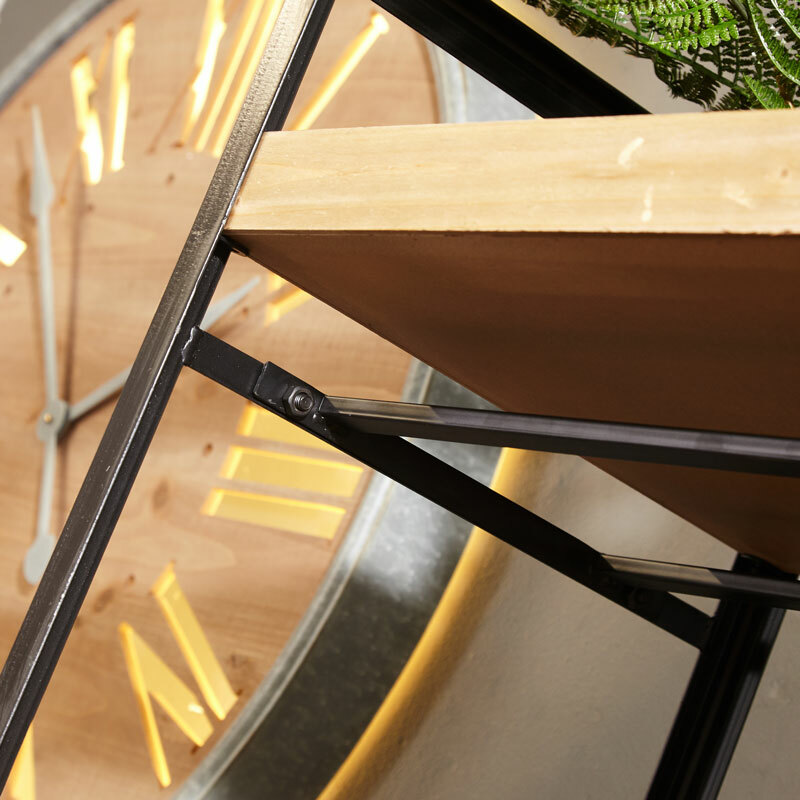 Whether its extra storage in your bedroom, a display or bookcase in your living room or a place for shoes and accessories in your hallway this is the answer. 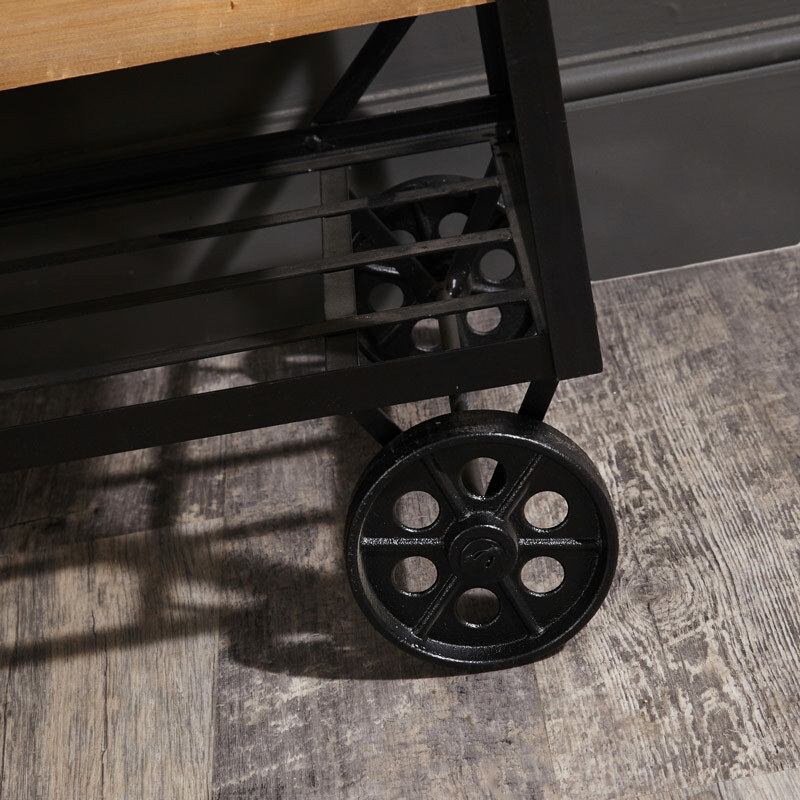 Our industrial shelving trolley could be the perfect answer to your additional storage needs with its simple but eye catching rustic look. 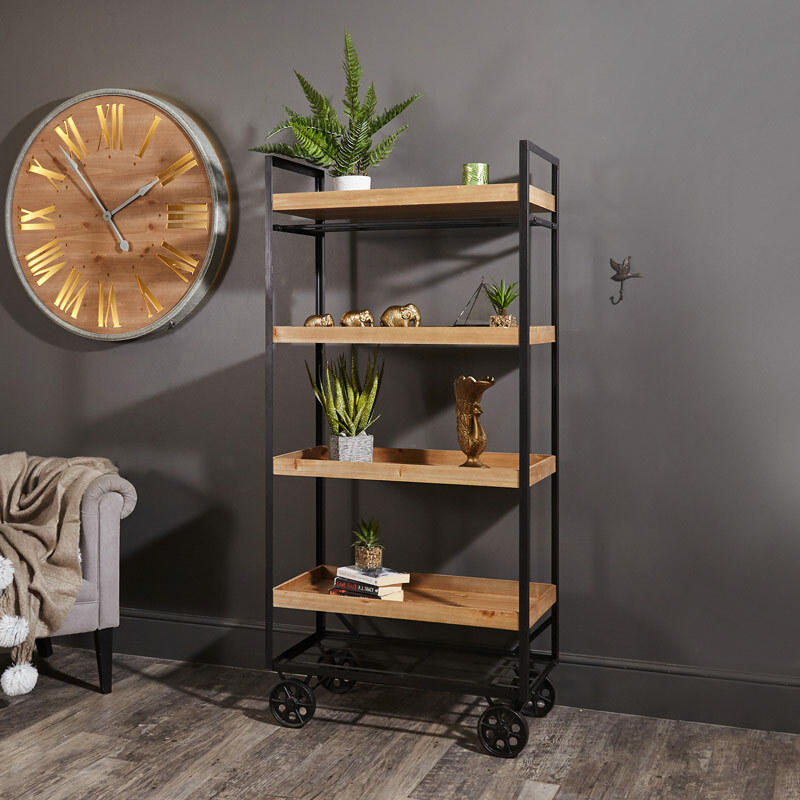 The black metal frame topped with its 4 wooden shelves will be an excellent addition to any vintage or contemporary home. Whether its extra storage in your bedroom, a display or bookcase in your living room or a place for shoes and accessories in your hallway this is the answer. Underneath the top tier shelf you'll find two fixed bars, a perfect place to hang hooks for hats, scarves or utensils in the kitchen. This is one of many beautiful industrial units we have to offer. Be sure to check out our full range!